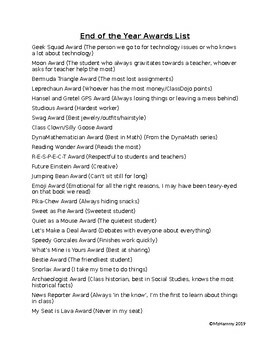 A list of awards and certificate names to use with end of the year awards and certificates. It features a number of pop culture references to keep students entertained. Can be used to create certificates to award students for their work for the past school year.